If you’re like me, you do yoga faithfully, even when you feel fried. And while our lifestyles might be geared toward helping reduce global warming, we also want to clean up our mind/body/spirit ecology before it’s too late. 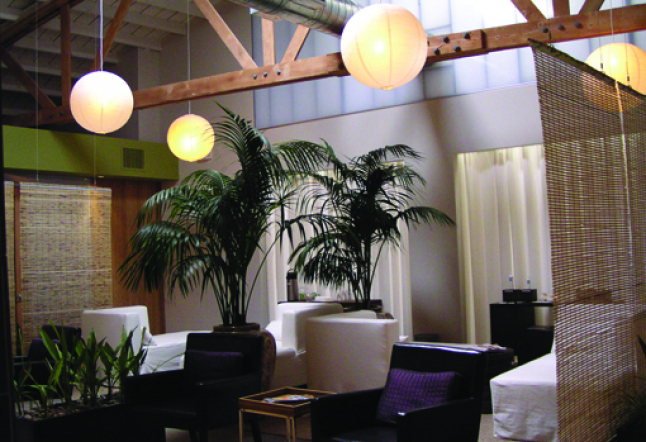 The people at Dtox Day Spa understand our physical needs and yearnings for healthy balance. 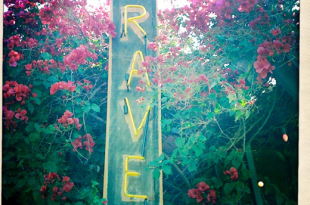 This is the first of many reasons why you should head to this oasis in Atwater Village. 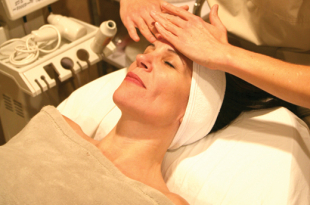 Reason number two is that most spas are soulless, corporate-owned pampering facilities, but not Dtox. This eastside haven is a bona fide urban renewal zone that effectively addresses our common health dilemmas, and pampers us to boot. 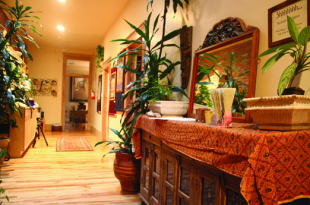 A case in point is the spa’s savvy yoga programming and pricing. 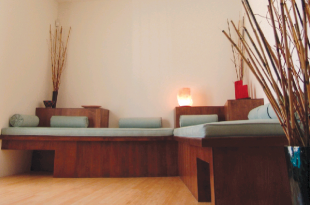 While there are group yoga classes in the evenings to help us weary Angelenos reconnect with the life force after the nine-to-five grind, you can also book a pretreatment, private yoga session for the wonderfully reasonable price of $60 an hour. Voila—reason number three. 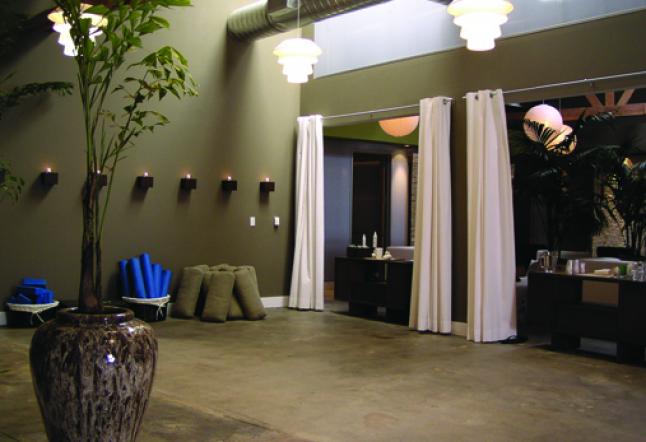 Dtox owners Kenneth King, Cary Mock and spa director Tayler Kent see yoga as a major element of their spa experience as well as an integral part of the urban 21st century lifestyle. As King explains, “Some people are so wired that they need to relax before their treatment so that they can receive the full benefits.” Dtox guests are thus encouraged to take one-hour, pretreatment, private classes so that their minds and bodies are warmed up and relaxed before their service. An hour of pretreatment yoga reprograms and prepares the body for rejuvenation, King asserts. If you can’t fit yoga in before your treatment, you can always plunk yourself down in the steam room or sauna (reasons number four and five, respectively) to cleanse and calm down. 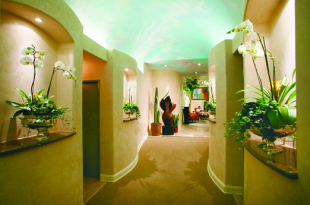 The atrium’s 20-foot high open beam ceiling with 15-foot waterfall (reason number six) is well worth meditating on before a massage, facial or wrap. Warning: I zoned out on the waterfall and almost spaced out on one of my appointments. While the spa menu glitters with many gems, the Signature Experience ($160 for 80 minutes) offers superb healing value for your money and time. This head-to-toe trip uses Dtox’s exclusive herbal massage oil on the head, scalp and body, incorporating a foot treatment that features a pressure point massage and reflexology. The Signature Experience is reason number seven. The brilliant menu of services for men embodies reason number eight: guys can select from an array of services including Sports Massage, Urban Facial, Dtox Urban Peel Facial, executive nail services for hands and feet as well as hair removal. As I happen to know several yogis who stubbornly smoke cigarettes, the Stop Smoking In One Hour treatment (reason number nine) dovetails neatly with one of modern yoga’s oddest paradoxes. (Side note: the Stop Smoking in One Hour hypnosis was approved by the American Medical Association in the 1950s. 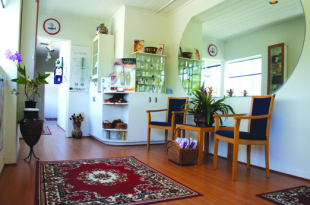 It holds the highest success rate in the field, with 95 percent of clients giving up the habit after a single visit.) Certified smoking cessation hypnotherapist, Samantha Rader, charges $500 an hour for her unique services (available by appointment on Tuesdays only). The fee includes free back-up support for life. What’s reason number ten to chill out and heal at Dtox? Gracious owners, a smart physical plan and impeccable hospitality means that it’s easy to get here and enjoy your stay. Free parking is available at the rear of the building, organic tea and fresh fruit is served upon arrival and comfy robes and slippers keep you covered in style. So go ahead and book a visit to Dtox to purify and pleasure your personal ecology.